Assignment Sale!!! The Beaches' Most Coveted Address!!! 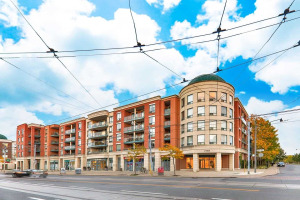 Steps Away From Toronto's Most Popular Beaches And Parks. Direct Access To Transit. Exquisite Finishes; Quartz Counter Top, Glass Backslash, S/S Integrated Appliances. Four Pipe Fan Coil Heating And Air Conditioning System. Engineered Hardwood Flooring. Sales Office Located At 1887 Queen Street East. Sunday 12 Till 5!! Under Construction. Extended Deposit Structure-$5,000 On Signing, Bal To 5% In 30 Days, 5% In 90 Days, 5% In 120 Days, 5% On Occupancy. Parking- 65K, Locker-9K!